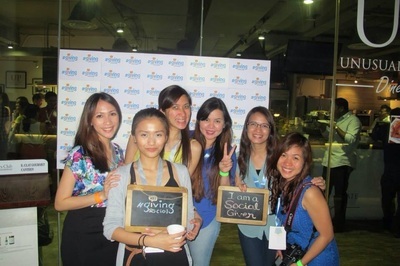 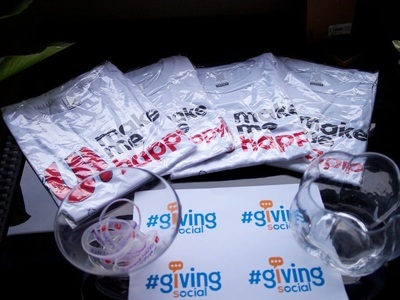 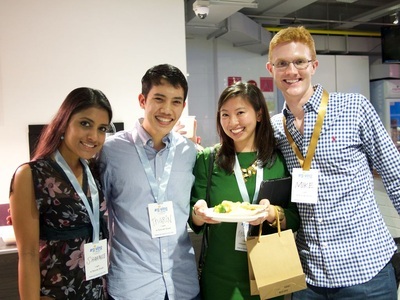 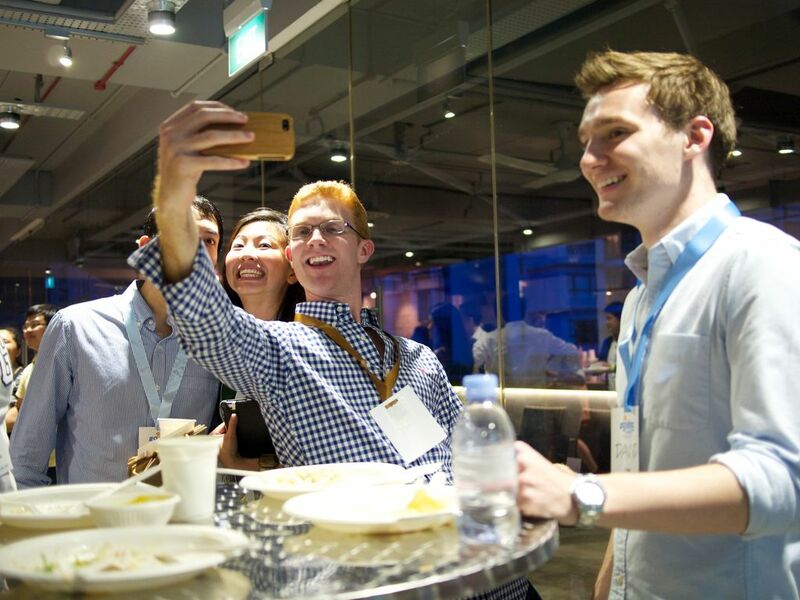 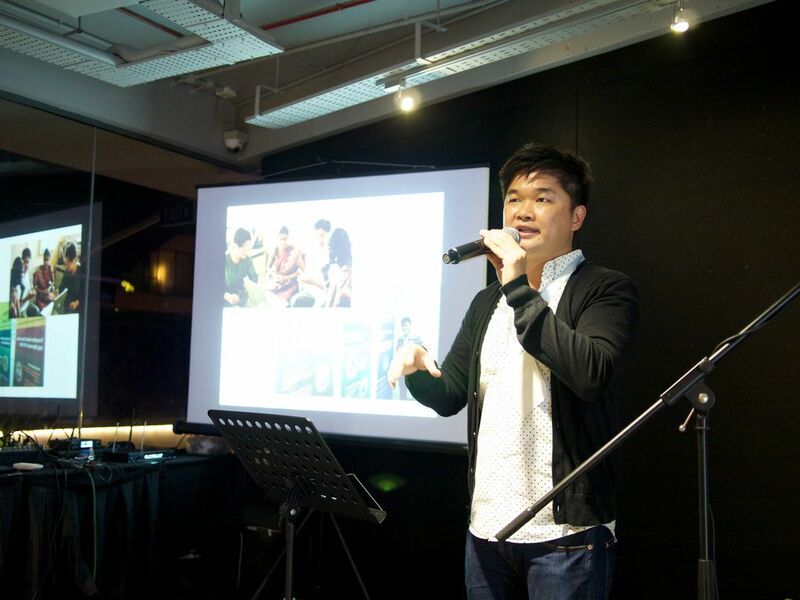 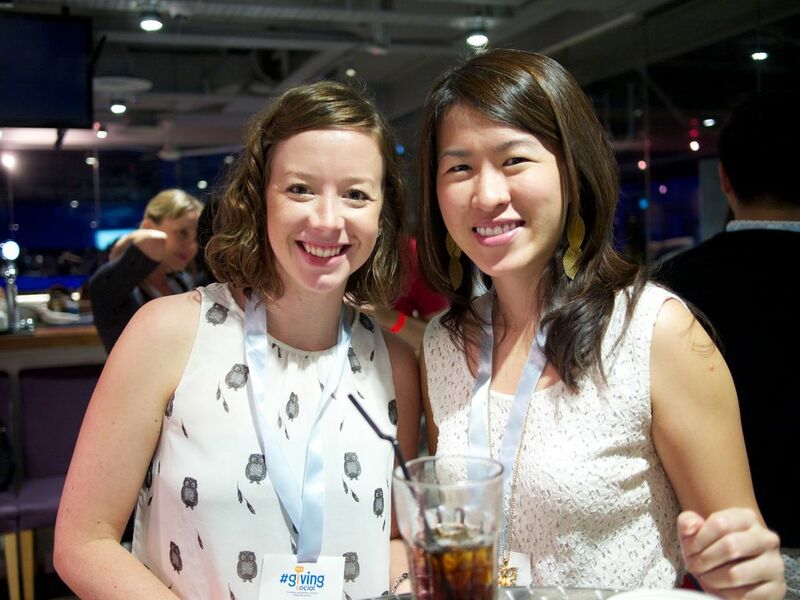 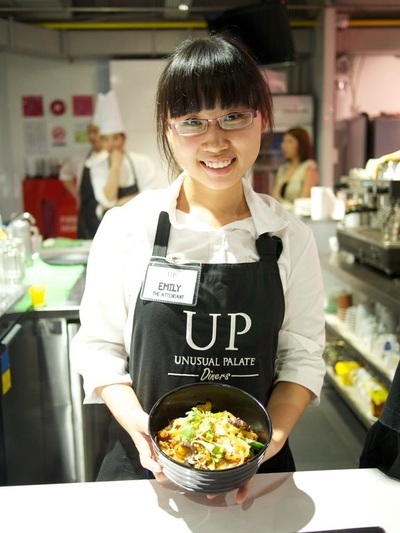 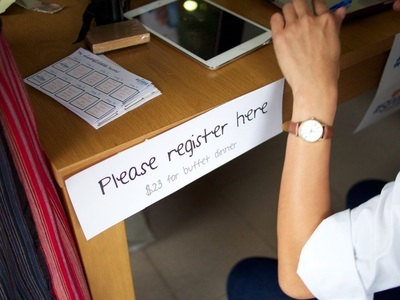 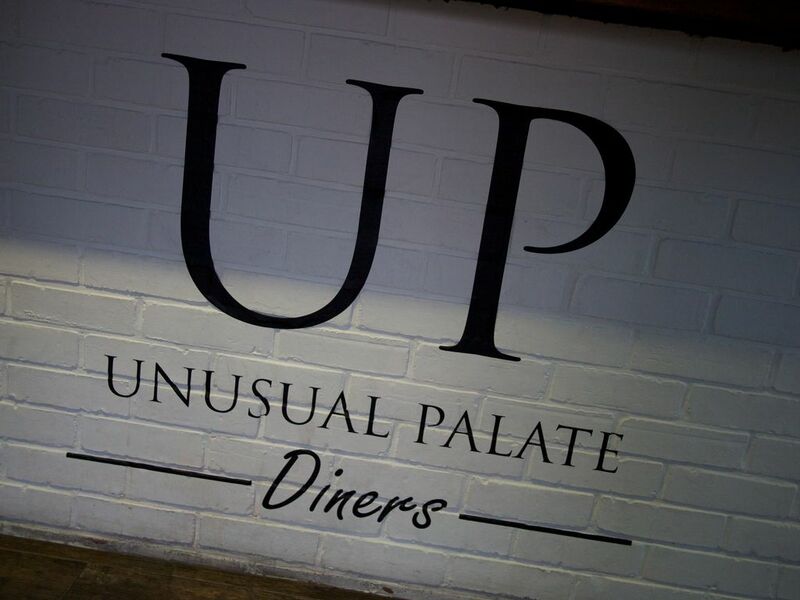 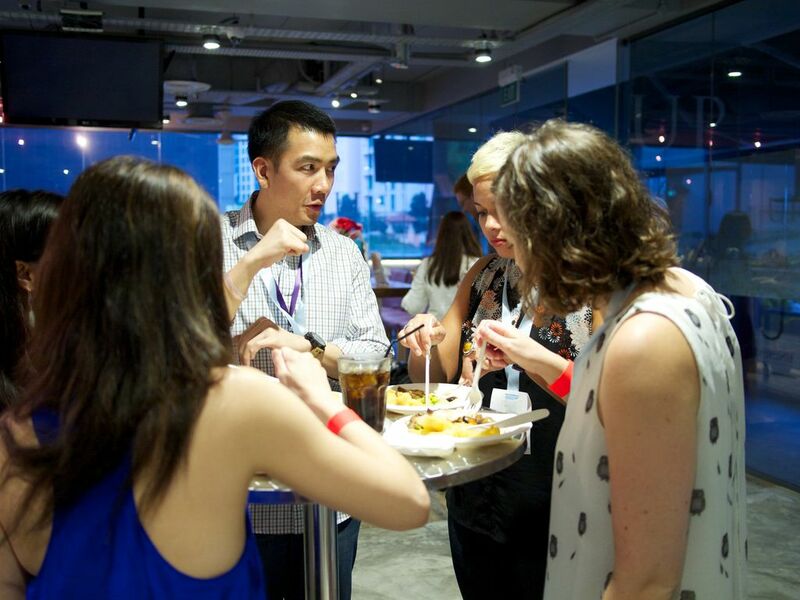 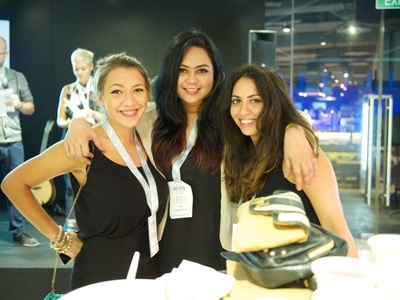 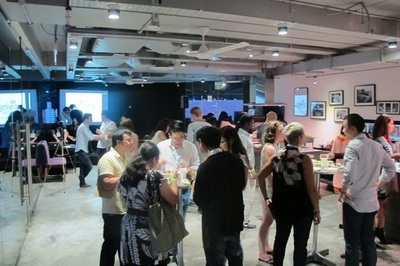 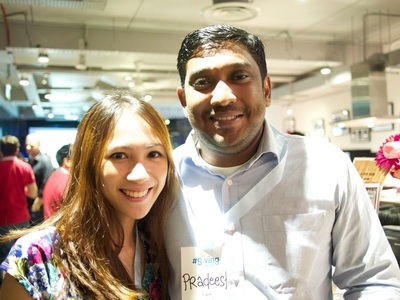 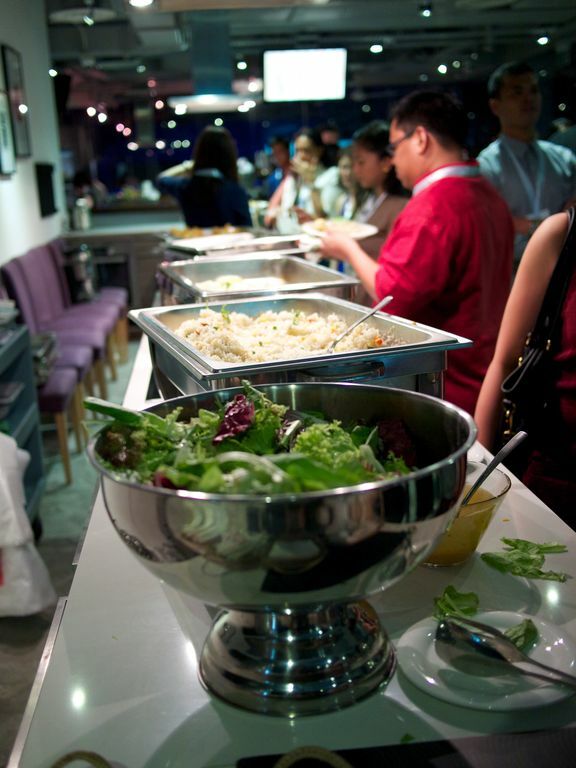 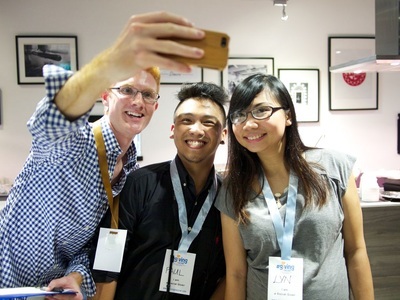 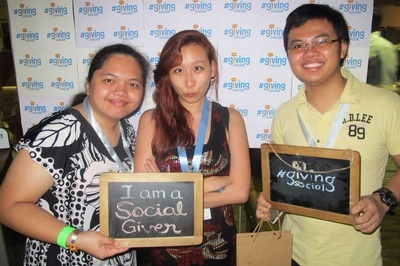 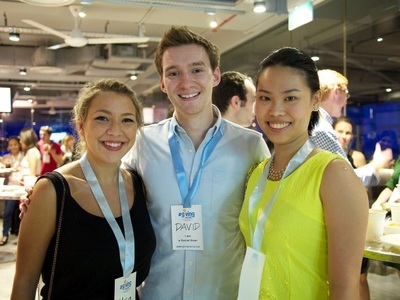 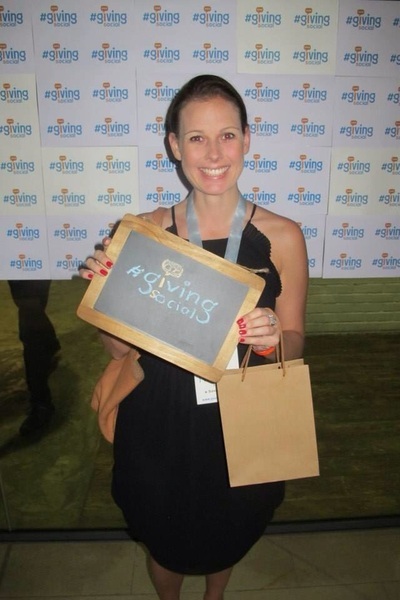 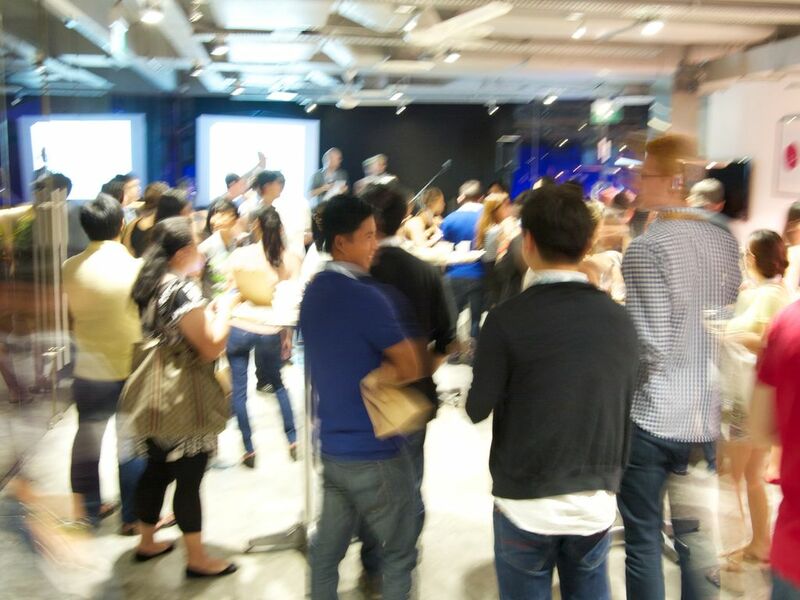 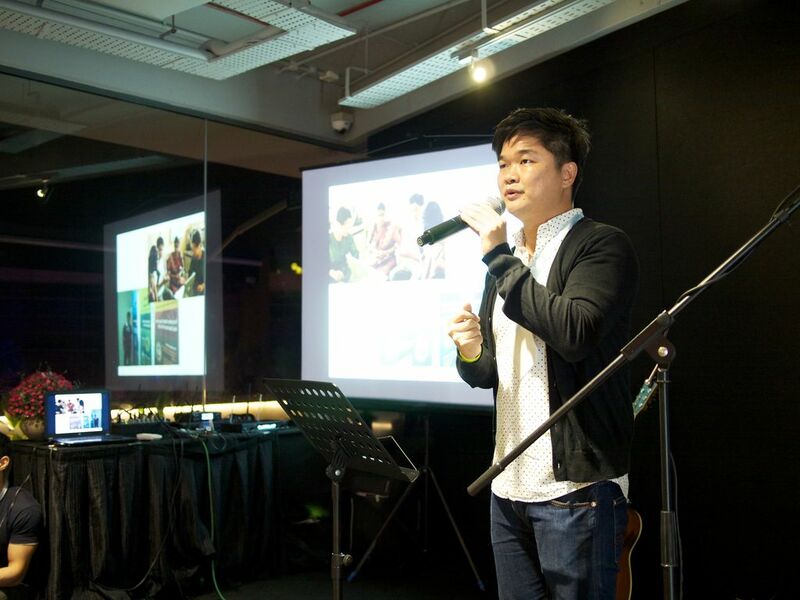 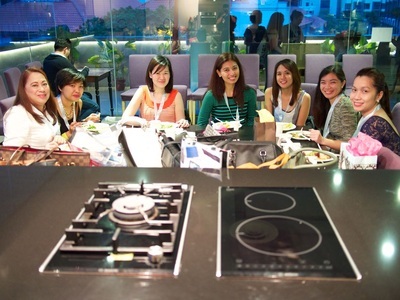 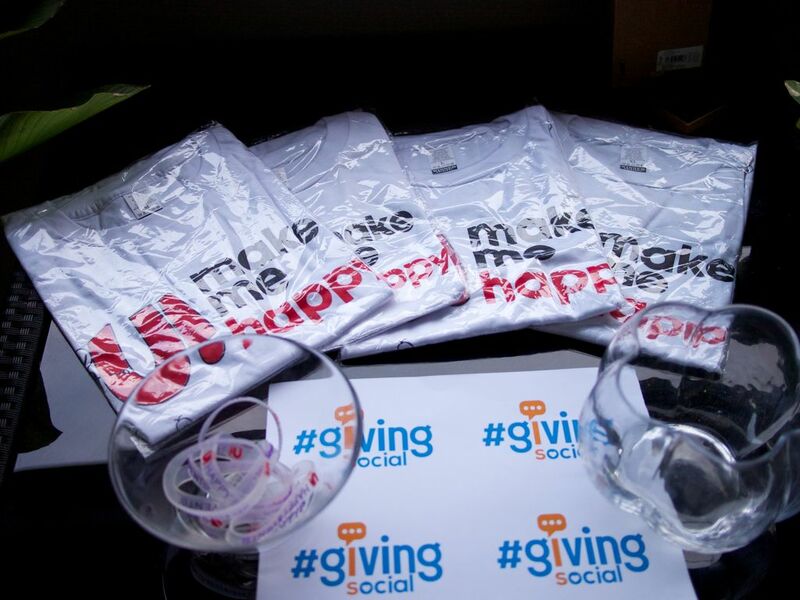 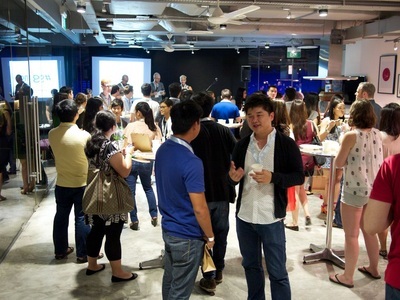 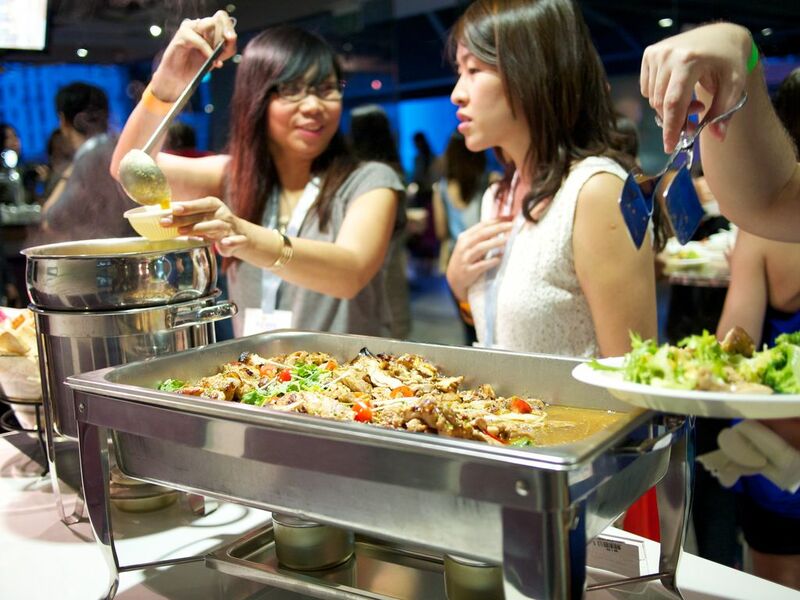 #GivingIsSocial kicked off on a high note on Nov. 9, 2013 at Unusual Palate in Robertson Quay, with friends getting together to understand more about the movement. 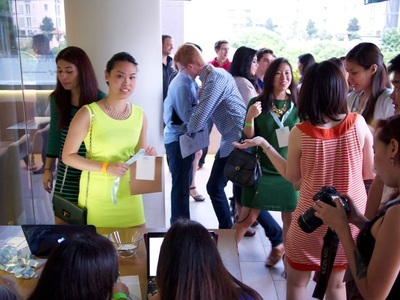 The objective of the event was to activate at least three social giving activities in the next three months. Secondary to this is to foster connections among guests. 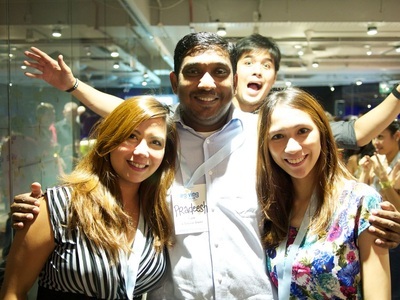 The latter was quickly achieved. 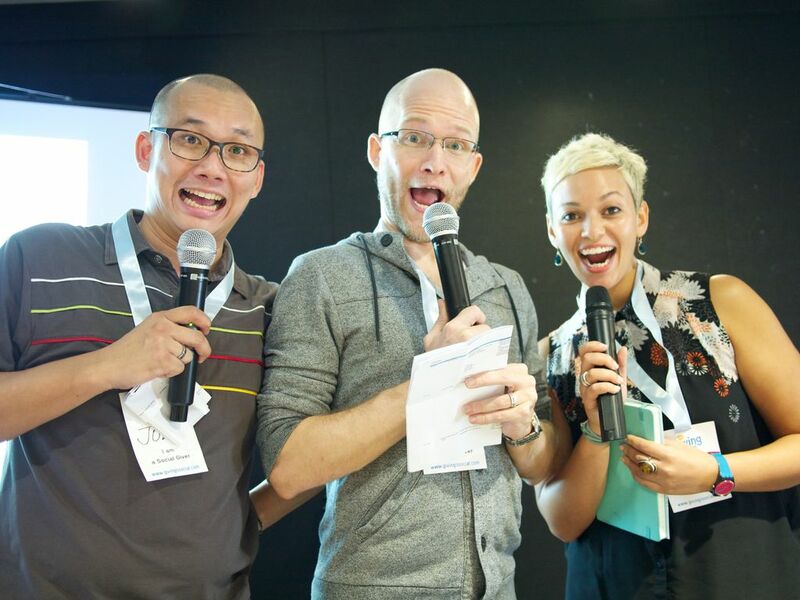 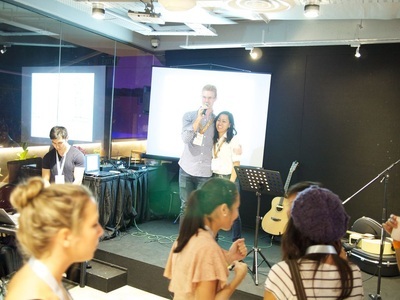 Guests were welcomed by the three emcees namely Simone Hayes from Quadmark, Joel Mok from Rohei, and Nate Curtis from the Canadian International School. 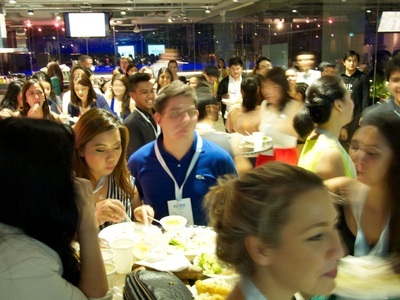 All 106 guests were asked to go around the room to meet at least 3 new people. 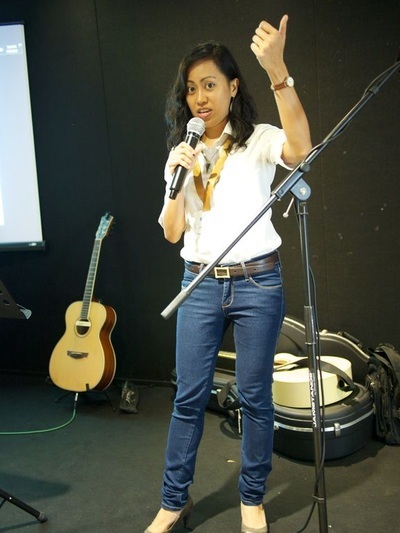 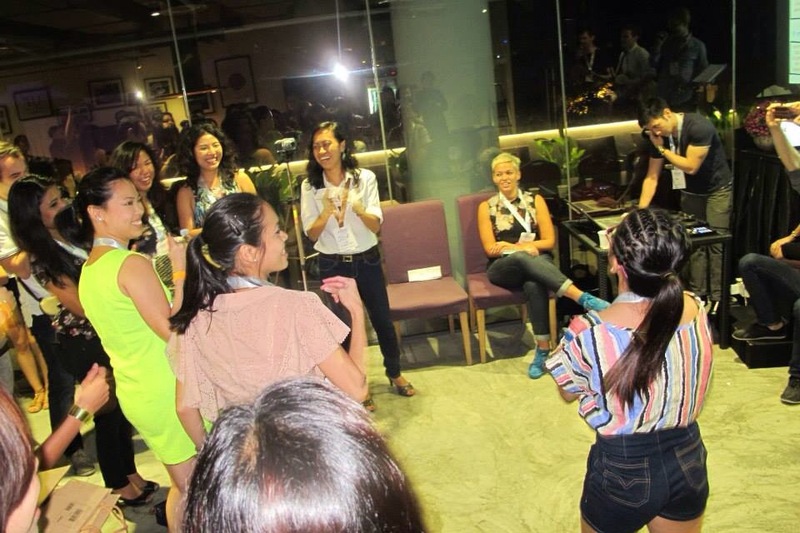 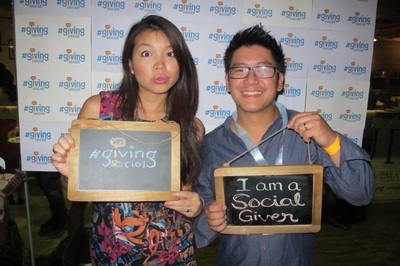 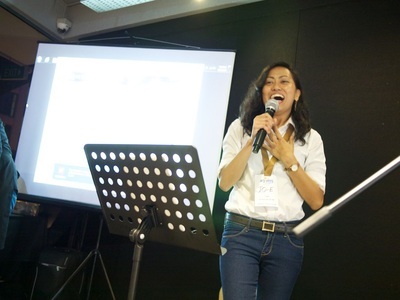 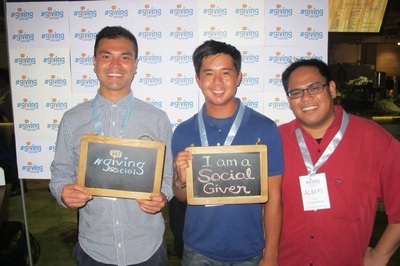 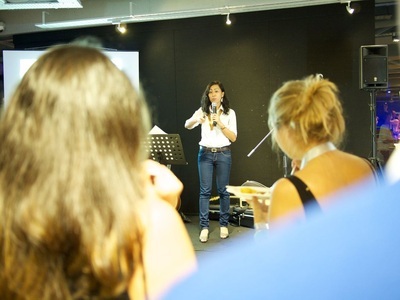 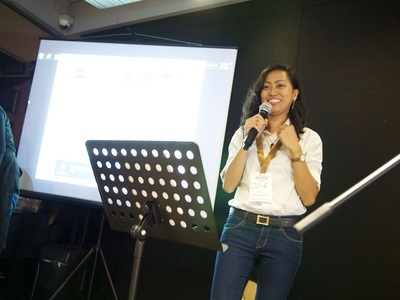 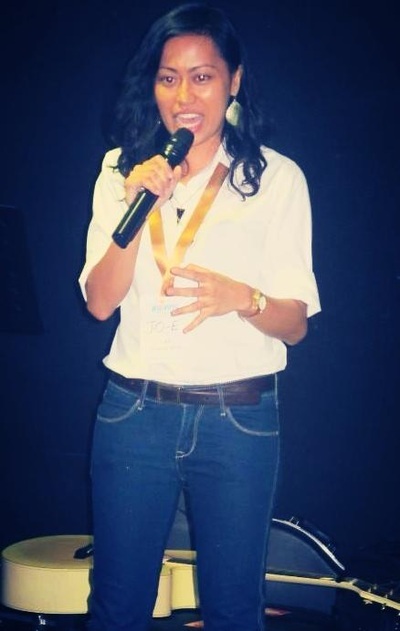 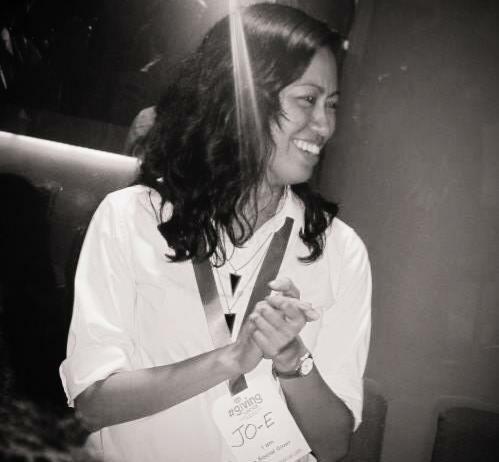 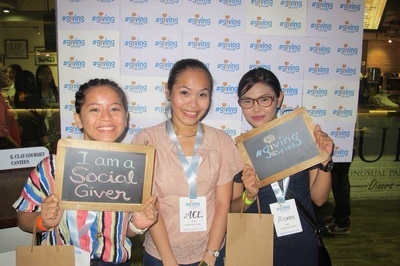 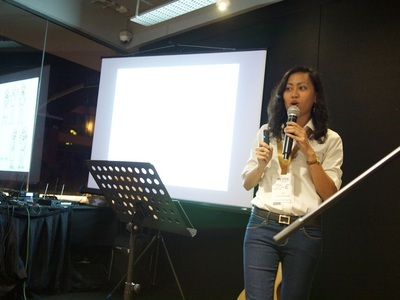 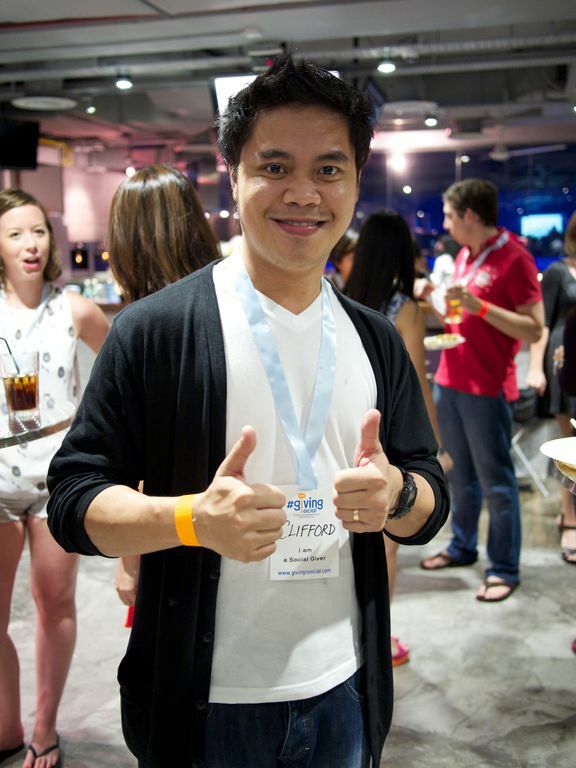 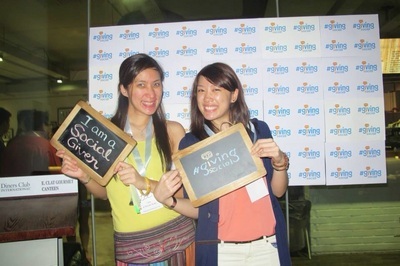 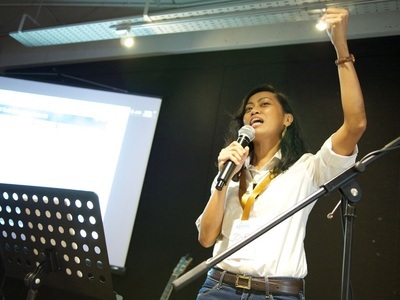 Founder Jo-e Villagarcia then took over the stage to introduce #GivingIsSocial. She highlighted how the idea behind the movement is not revolutionary, but that its desired output is going to impact workplaces and communities. 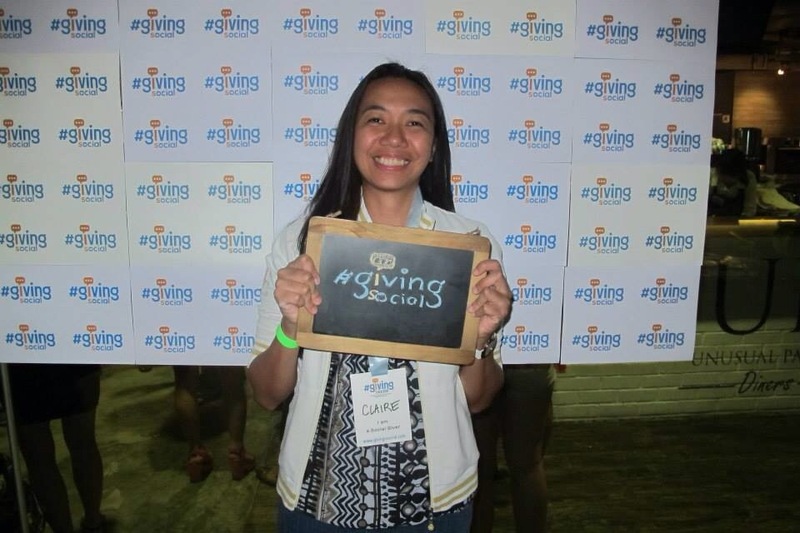 Her presentation enumerated the 10-step journey suggested for people in the workplace who would like to start their social giving movement where they are. 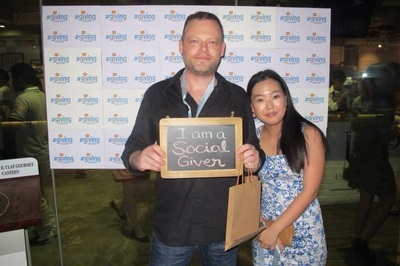 She also pointed out that everyone can participate in giving by either GOING as a volunteer to share their time and skills, by SENDING financial support if they are unable to physically go, or by TALKING about the causes they are passionate about. 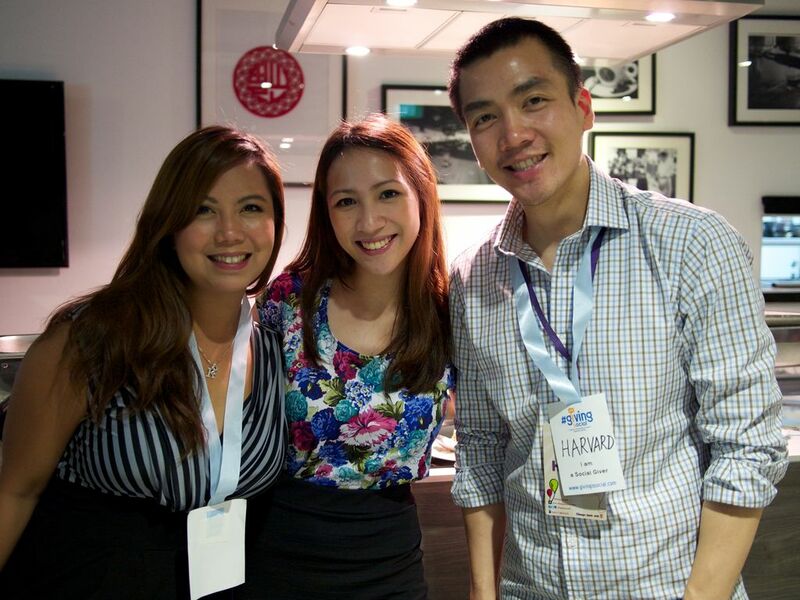 Eric Tee from Yahoo! Singapore talked about how he and some colleagues started community volunteering which eventually became a company-supported activity. He encouraged people to GO with their time and skills. 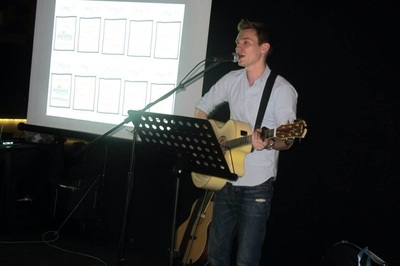 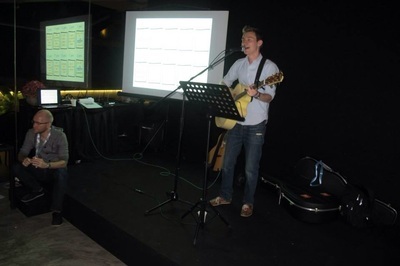 An acoustic performance by singer-songwriter Hiram Ring followed after. 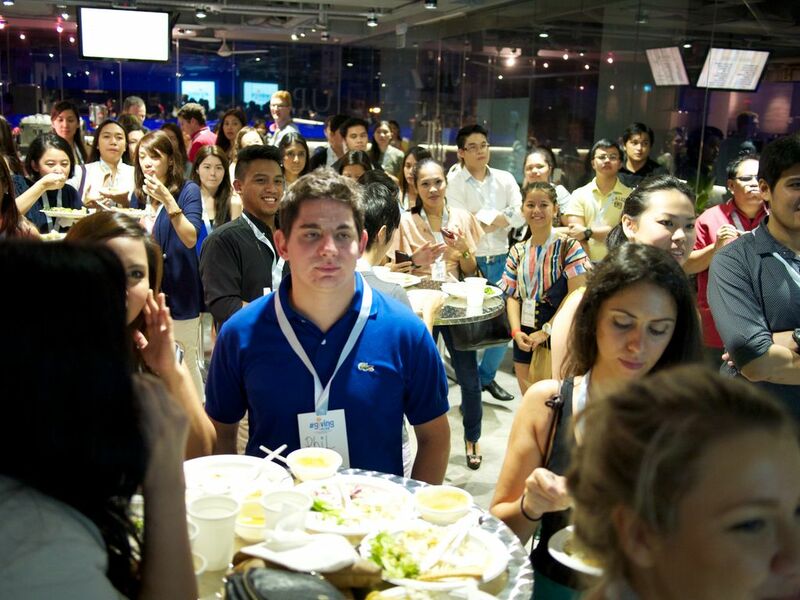 Harvard Uy de Baron, the founder of U! Happy Events in the Philippines, one of the chosen partners of #GivingIsSocial, shared how people can SEND financial help if they are not able to GO. 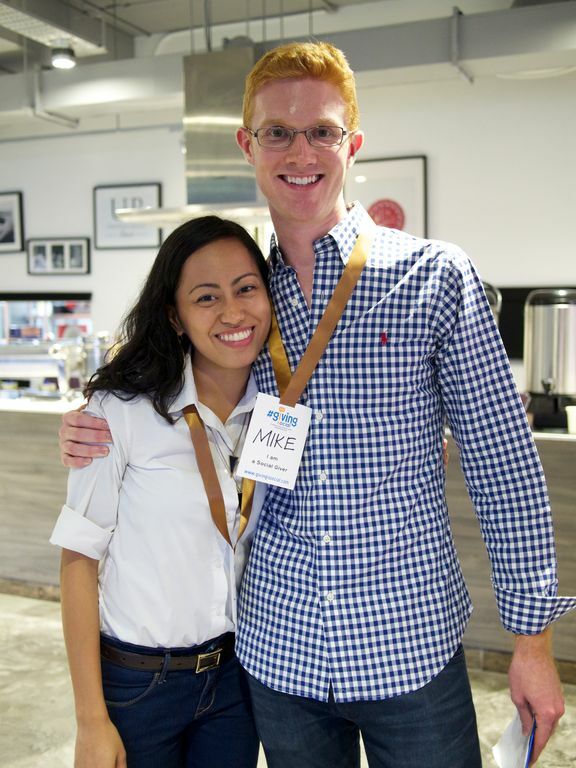 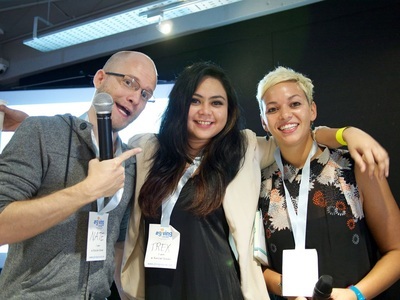 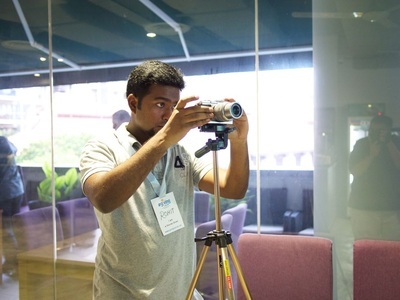 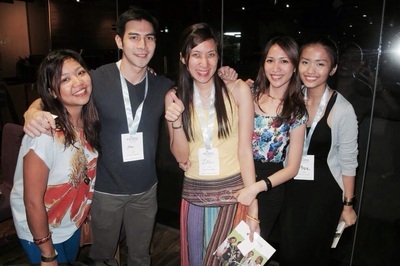 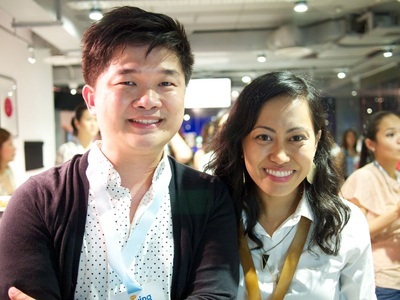 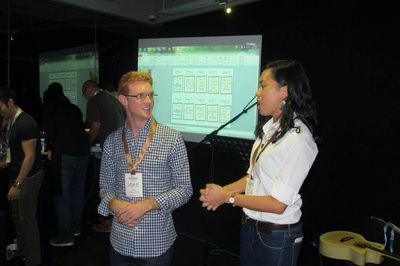 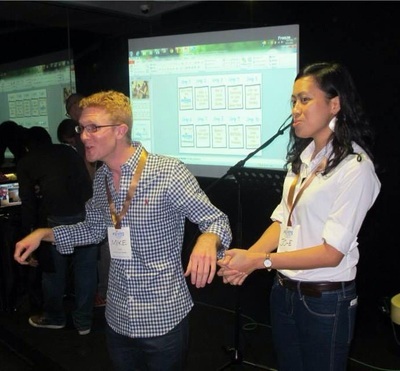 He presented the organization’s “Create Your Own Event” initiative that mobilizes volunteers in the Philippines through support from partners from all over the world. He showed a demo of the tool available on uhappyevents.com which the guests got to try on their mobile phones. David Brett, a singer and working professional from the UK, invited the guests to get around the stage to dance along with his pop-acoustic music. 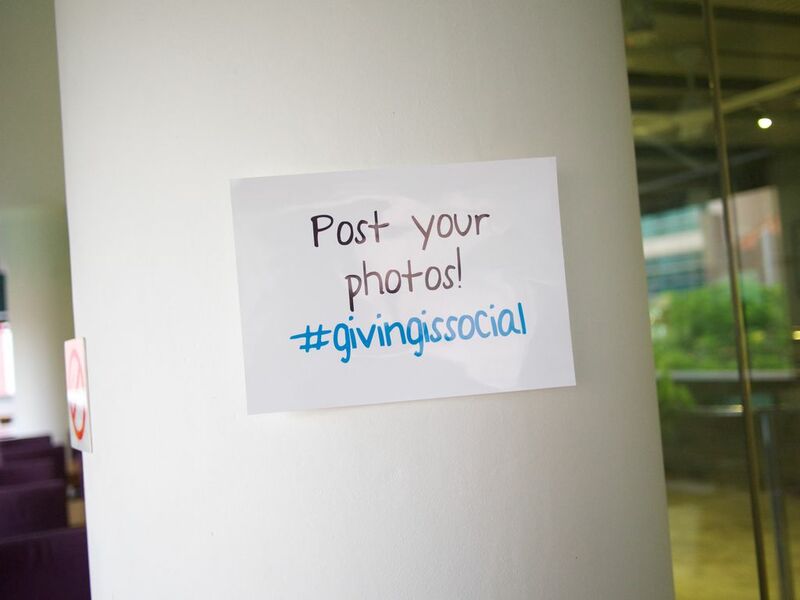 To wrap up the 3 ways to give, Mike Blanding from Intercontinental Hotels Group, a social media guru, talked about how people can TALK about a cause they are passionate about and to harness social media for that purpose. 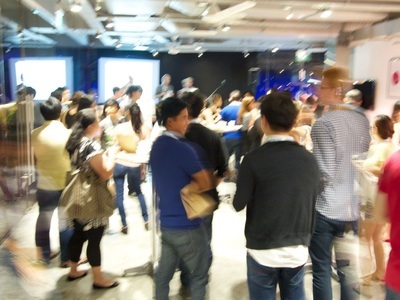 The guests then broke out into groups for a 15-minute sharing from Social Givers, and questions and sharing from guests. 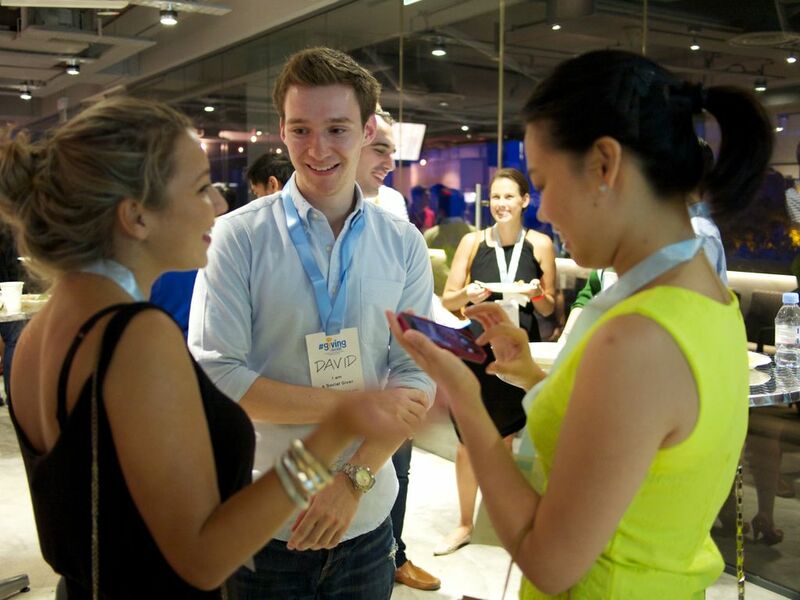 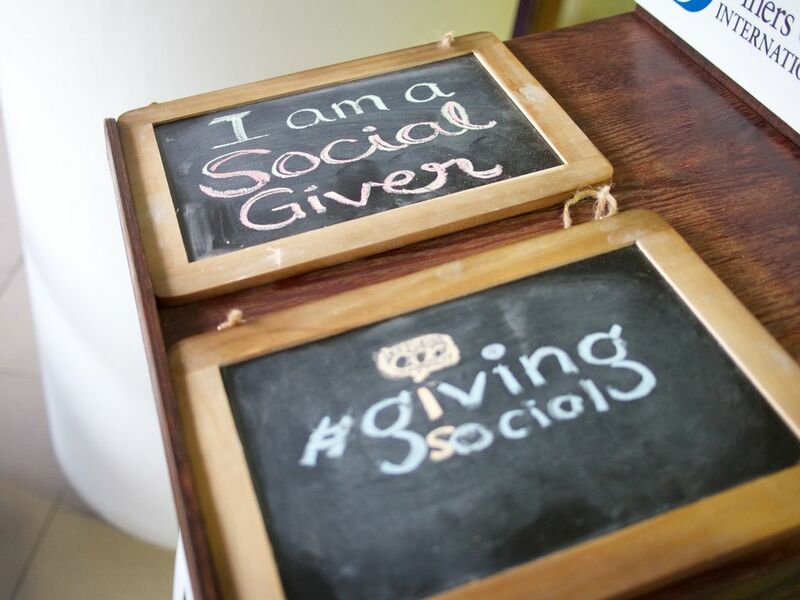 The discussions provided relevant insights that #GivingIsSocial can learn from. The launch came at a timely manner when the devastating typhoon Haiyan was just exiting the Philippines. 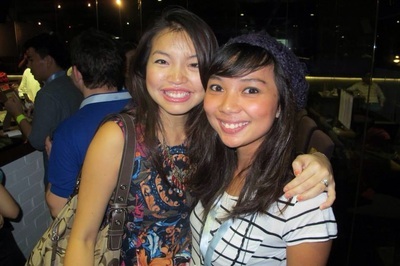 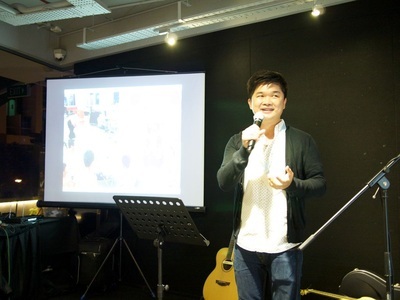 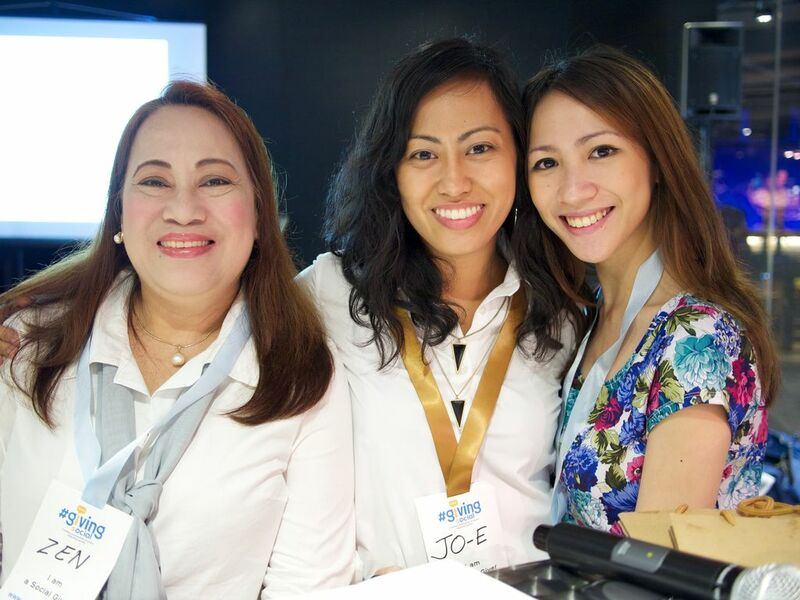 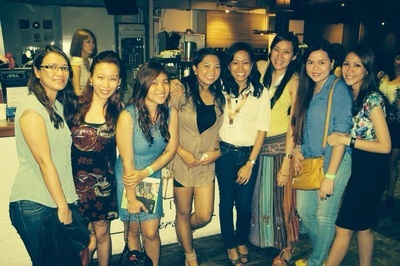 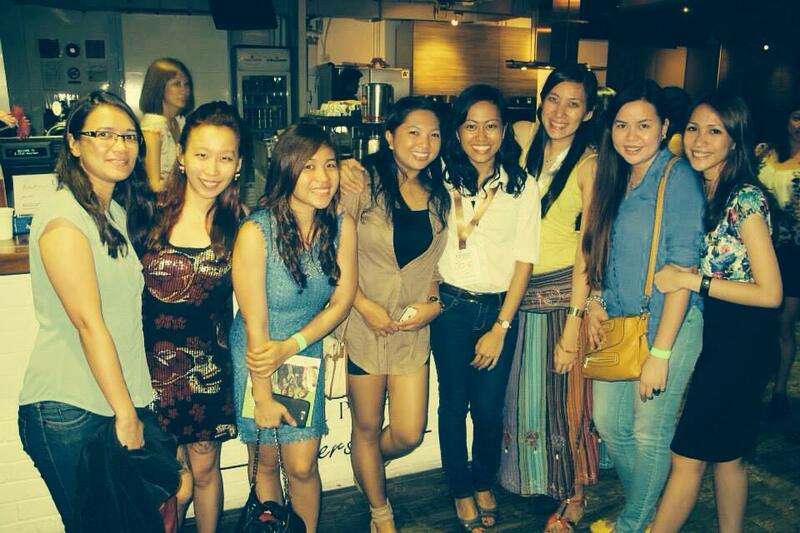 Jo-e shared about this news which later propelled a couple of initiatives to help the typhoon victims. 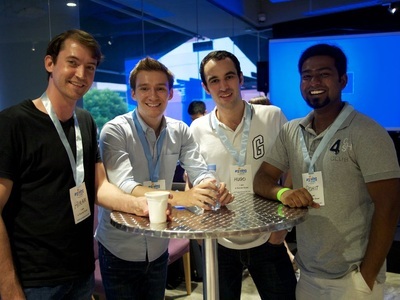 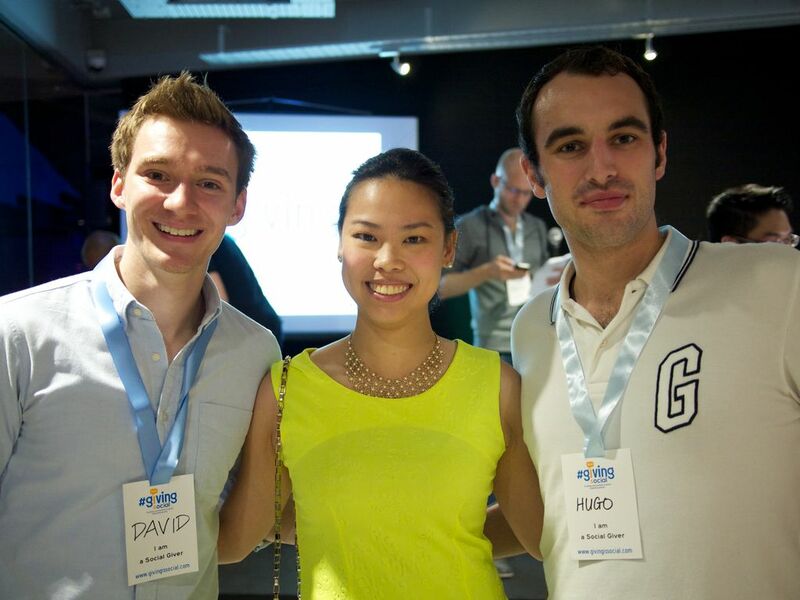 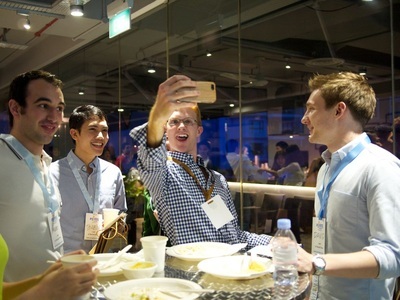 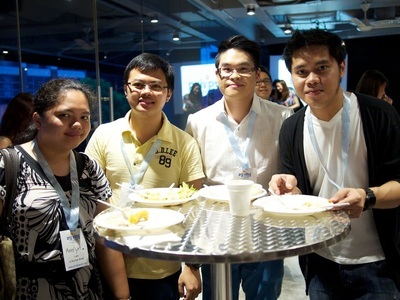 Photos taken by Ian Low and Hugo Le-Guern. 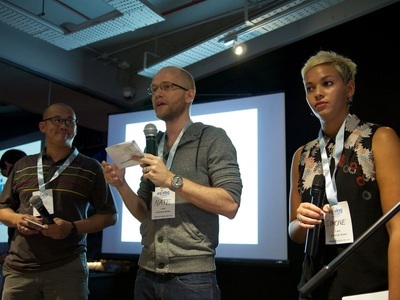 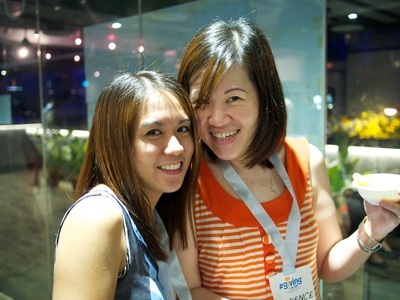 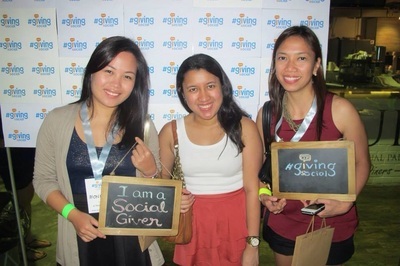 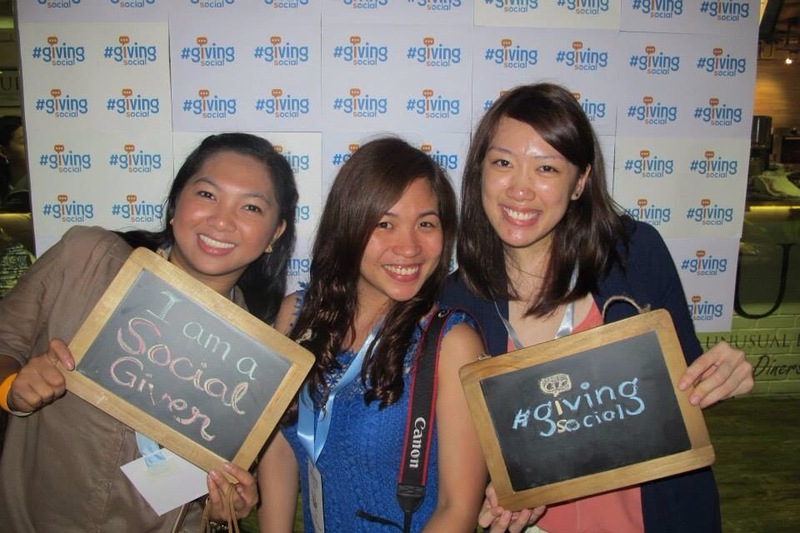 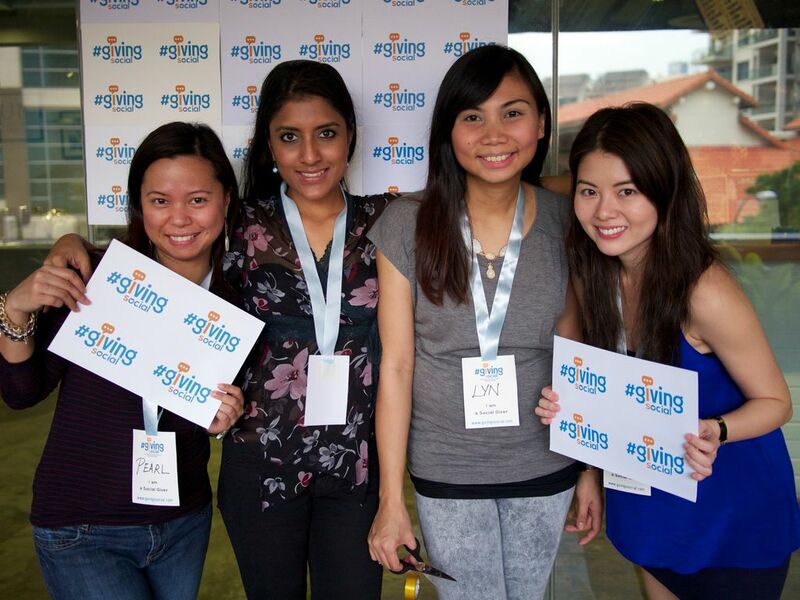 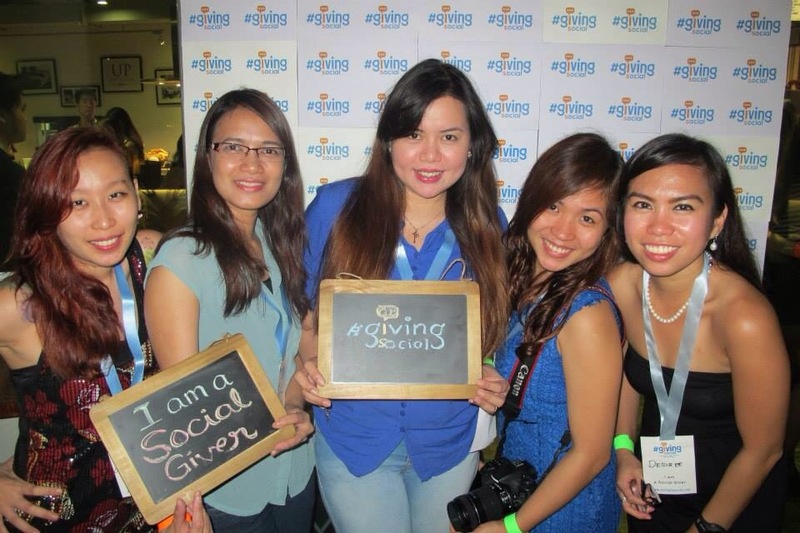 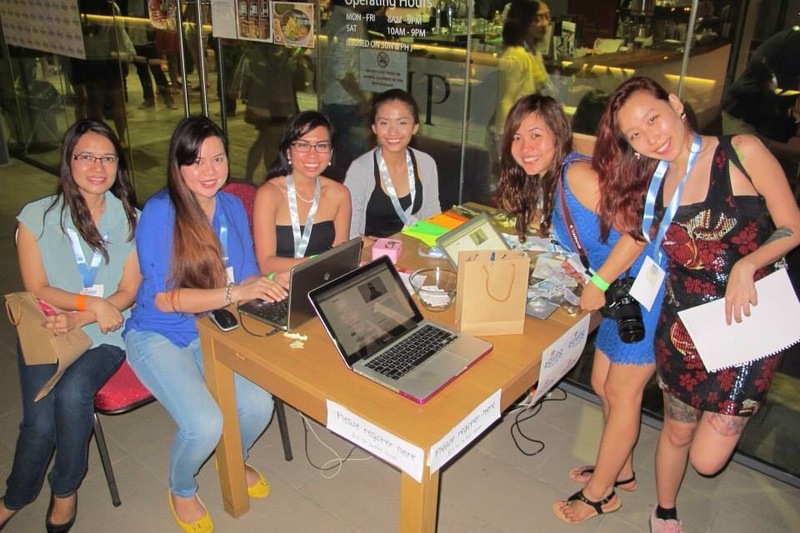 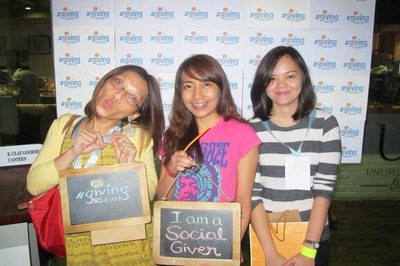 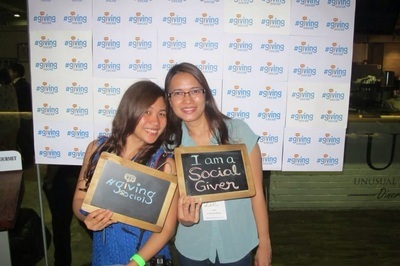 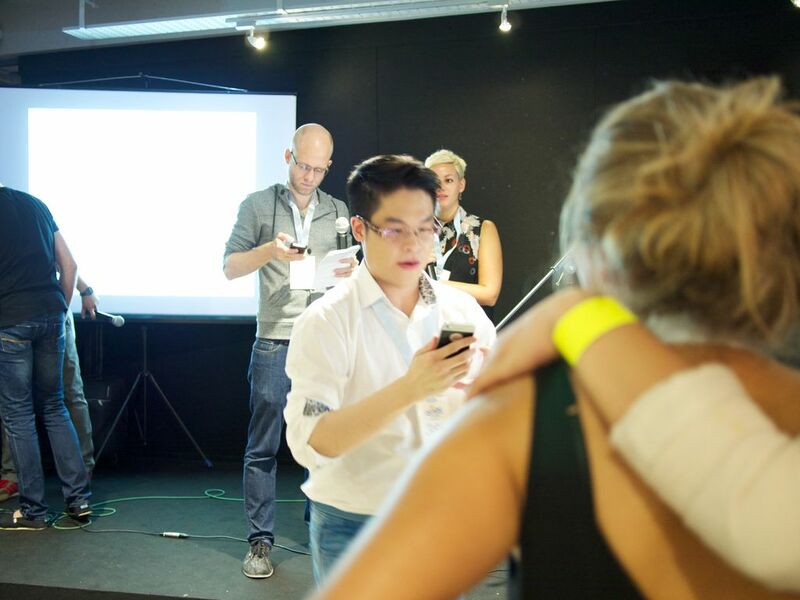 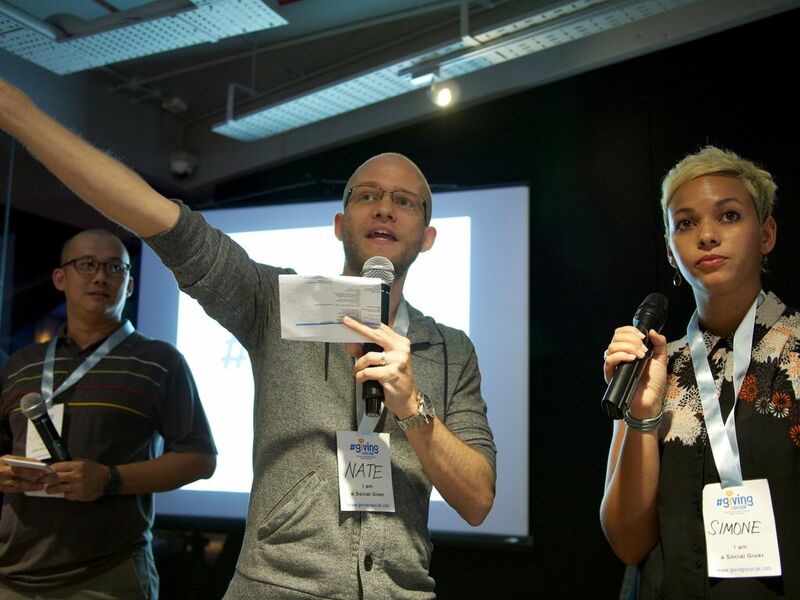 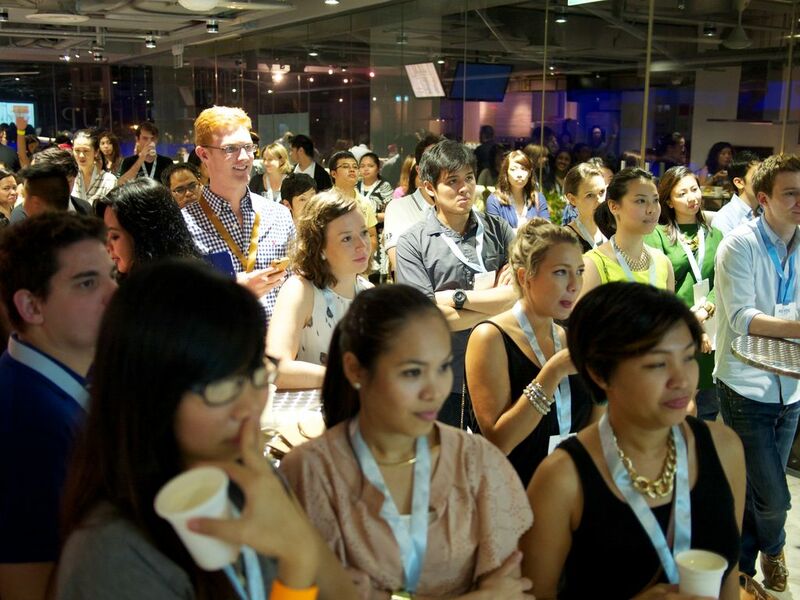 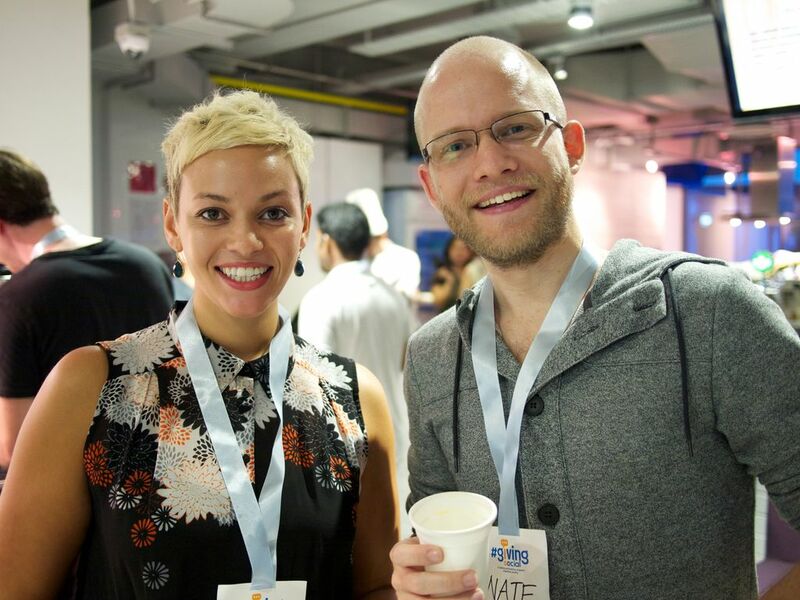 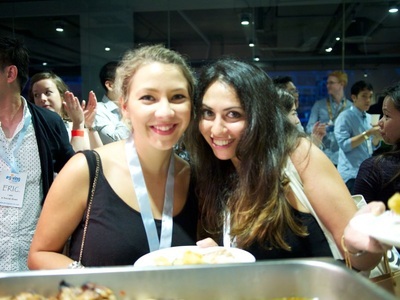 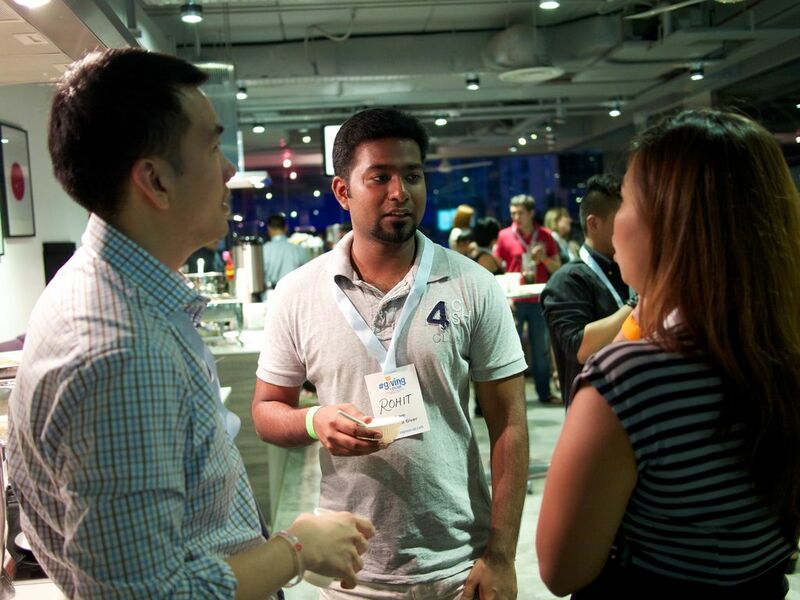 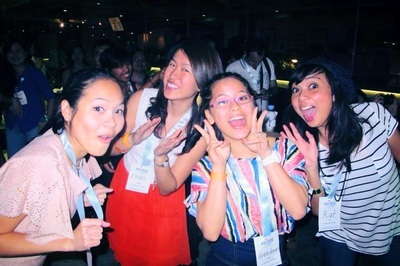 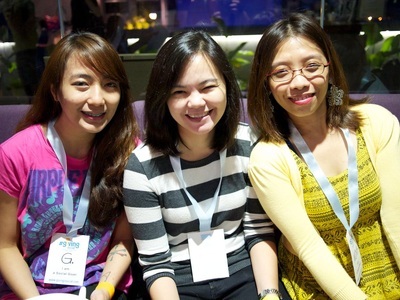 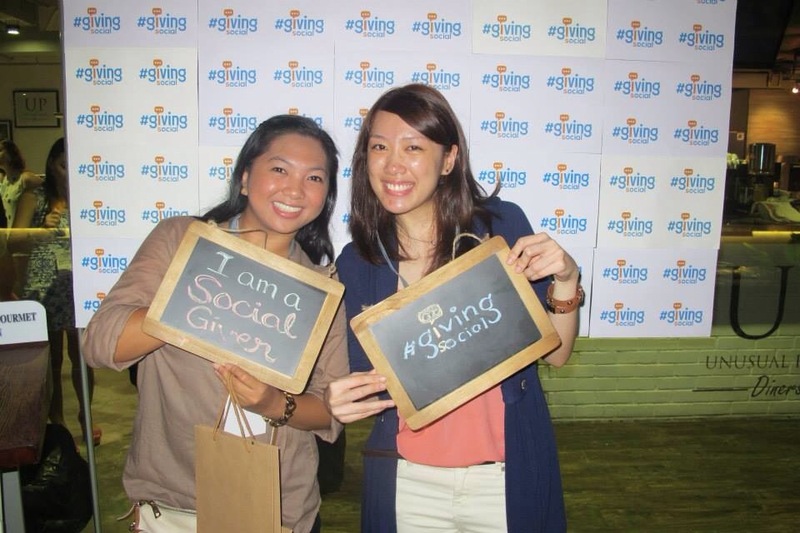 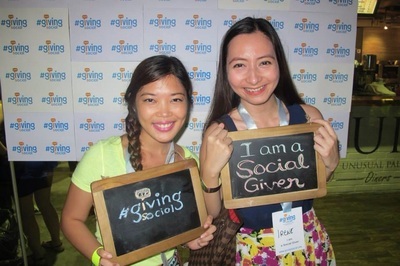 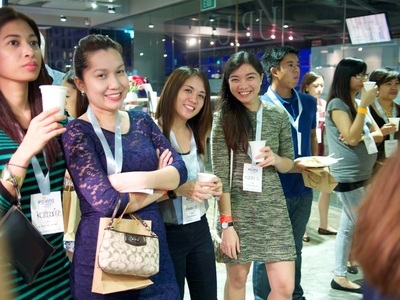 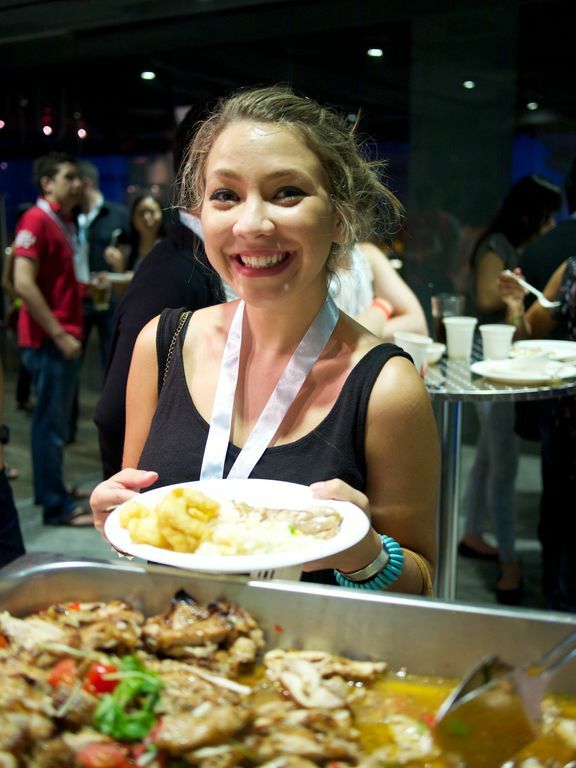 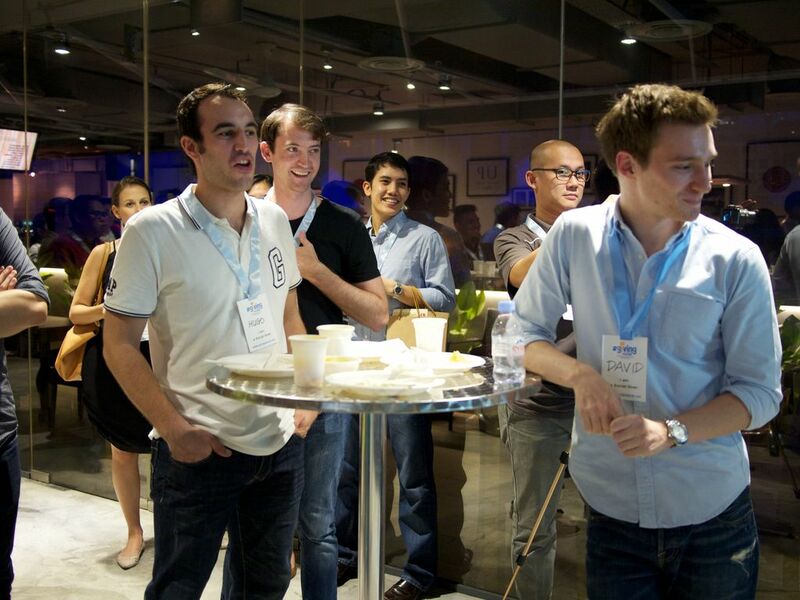 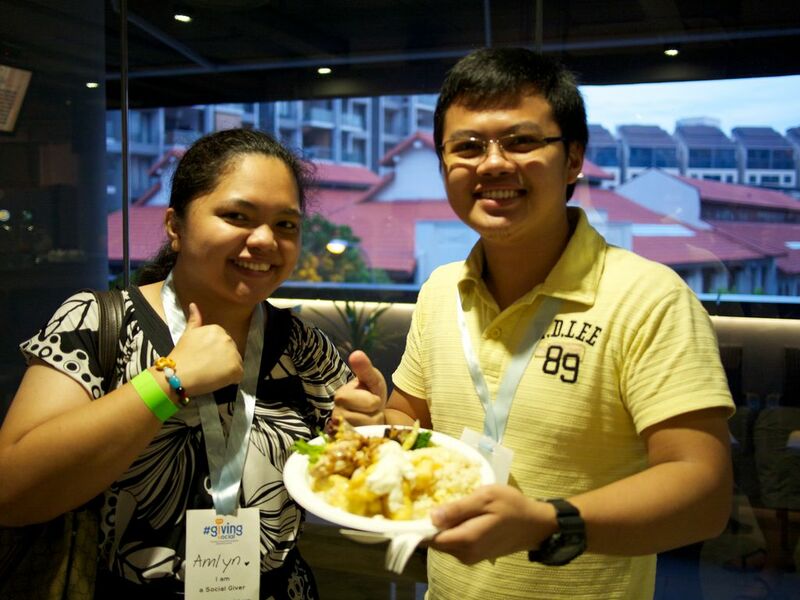 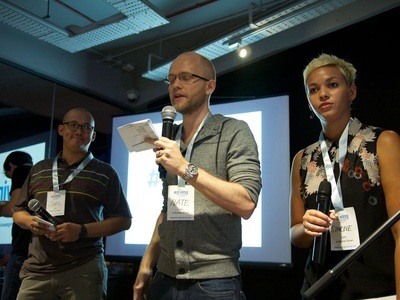 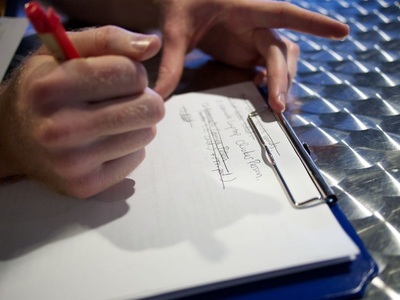 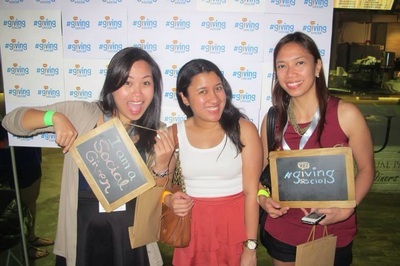 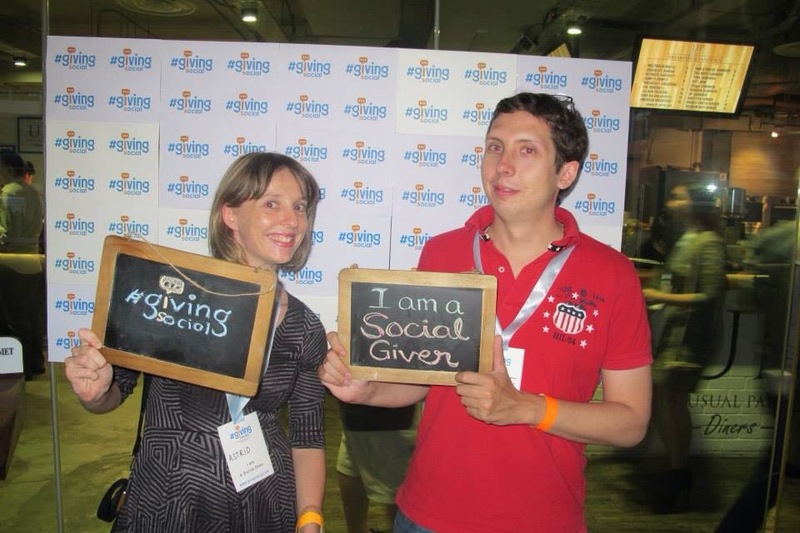 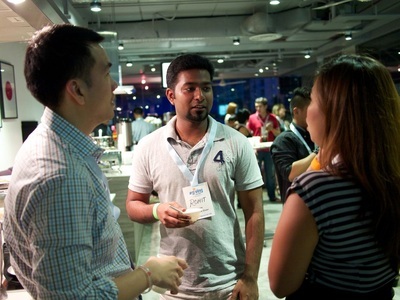 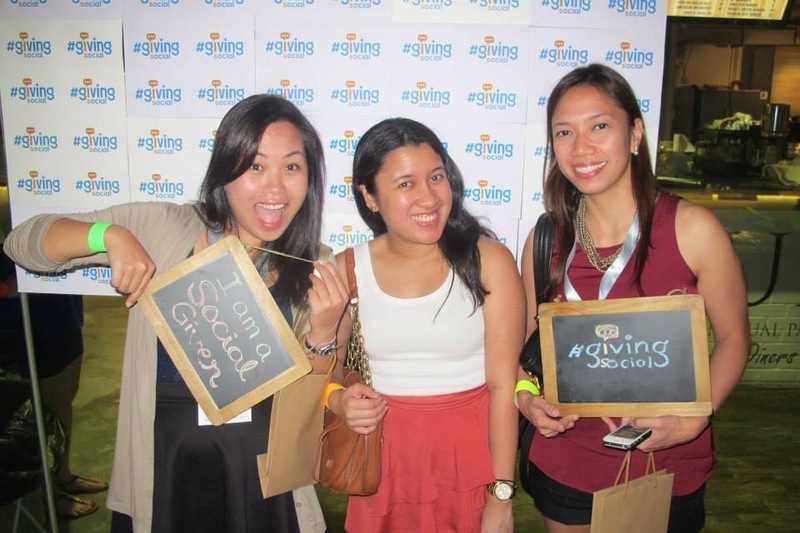 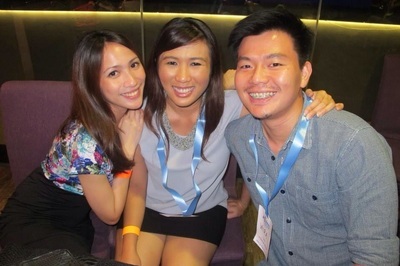 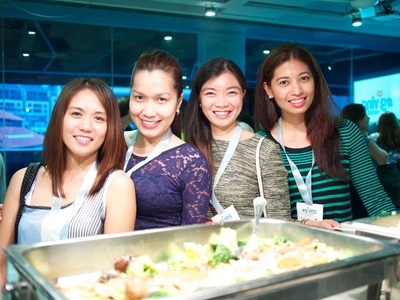 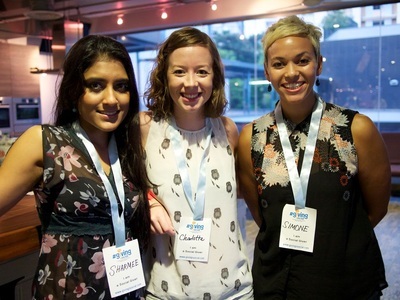 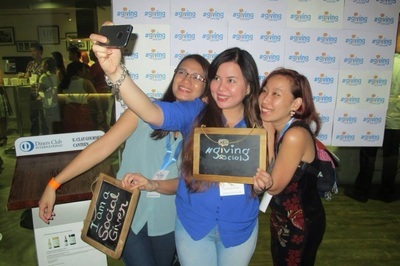 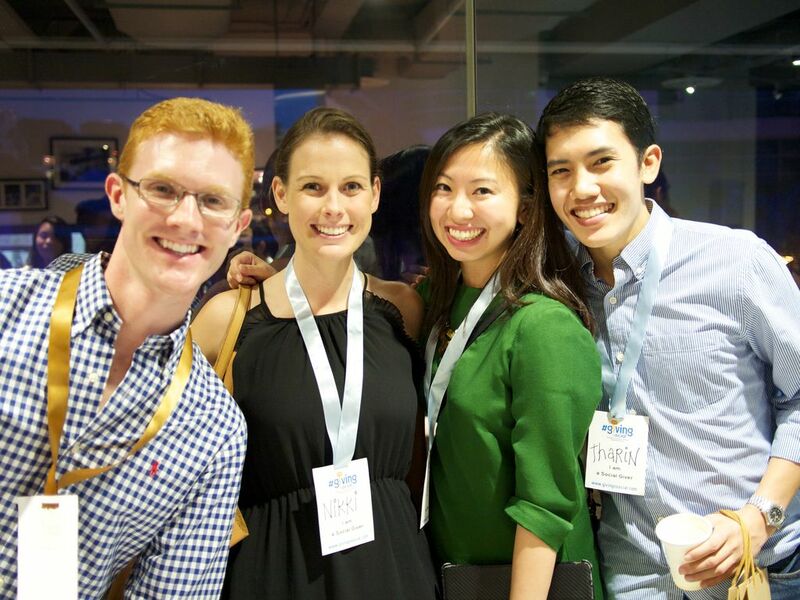 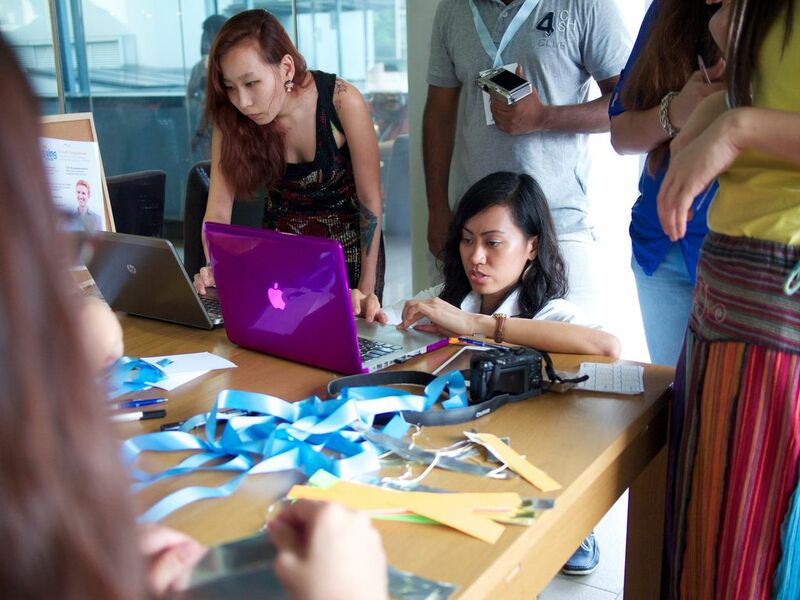 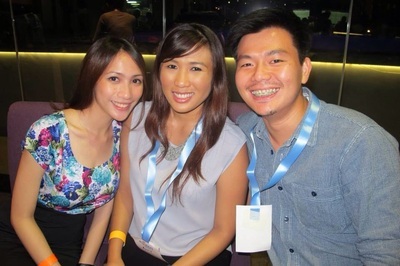 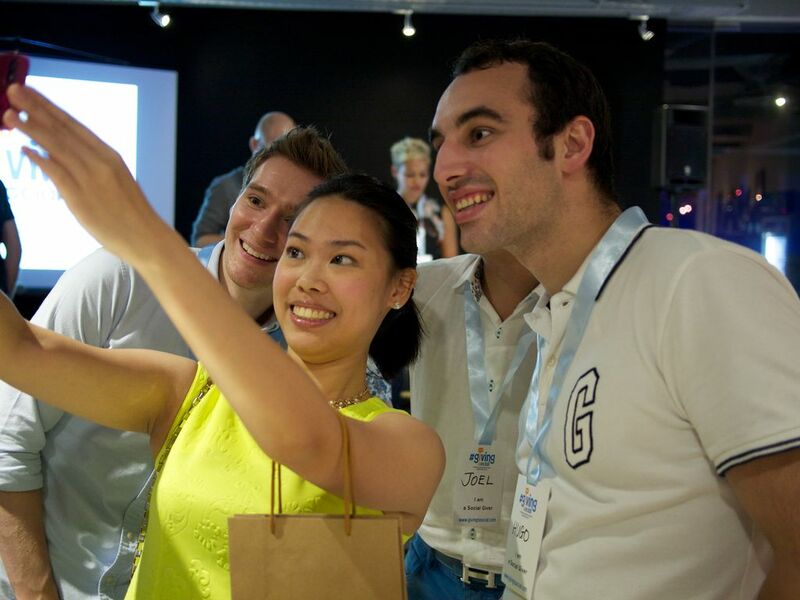 Please share your feedback about the #GivingIsSocial Kickoff last November 9. As we will be doing more of these get-togethers in the future, we would like to know how we can make them better, and more purposeful.